Boeing, General Atomics Aeronautical Systems, Lockheed Martin and Northrop Grumman Systems have each received preliminary design review (PDR) contract in support of the US Navy’s unmanned carrier launched airborne surveillance and strike (UCLASS) air vehicle segment. Under the $15m firm-fixed price contract, the four companies will each provide a preliminary design review assessment for the UCLASS air vehicle for the US Navy. The UCLASS system aims to enhance aircraft carrier / air wing operations by offering a responsive, world-wide presence through an organic, sea-based unmanned aerial system, with persistent intelligence, surveillance, reconnaissance, targeting and strike capabilities. UCLASS programme manager, Charlie Nava, said: "The PDRs are intended to inform the navy of the technical risk, cost and design maturity of the air segment (AS), and allows the industry teams to better understand the programme’s requirements across the entire UCLASS system, to expeditiously deliver the unmanned carrier-based system to the fleet." "The PDRs are intended to inform the navy of the technical risk, cost and design maturity of the air segment." The UCLASS development will begin in early 2015 and is scheduled for deployment aboard aircraft carriers, according to Defense News. 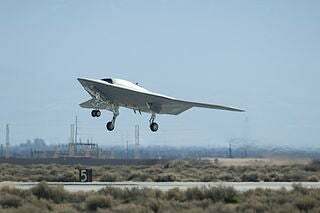 Lockheed’s Sea Ghost concept, Boeing’s X-45C joint unmanned combat air system, Northrop Grumman’s X-47B unmanned combat air system (UCAS) demonstrator and General Atomics’ sea avenger, an advanced version of the MQ-9 Reaper, will compete for the programme. Scheduled to be completed in June 2014, work under the contracts will be carried out in Missouri and California, US. The naval air systems command, by the Patuxent River, Maryland, will serve as the contracting activity while the contract has approximately nine months of period of performance. The UCLASS will balance endurance, early operational capability as well as inherent growth to enable operations in any environment or threat scenario. Image: the US Navy’s X-47B UCAS demonstration aircraft takes off. Photo: courtesy of the US Air Force.